Five years ago, Whistlepig owner Raj Peter Bhakta bought an old Vermont farm, where he plans to produce a single-estate rye. For now, he sources stocks of 10-year-old ryes, which former Maker's Mark distiller Dave Pickerell blends to make this spicy, vanilla-scented spirit. 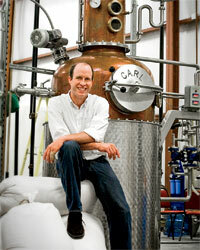 On Maui, Mark Nigbur of Pau Maui utilizes a special glass still to make a vodka from sweet Hawaiian pineapples. The result is remarkably pure, with just the slightest hint of fruit. Second-generation distiller Gable Erenzo of Tuthilltown Spirits uses New York state corn to make this rich, slightly sweet whiskey, which he ages in oak for three months. 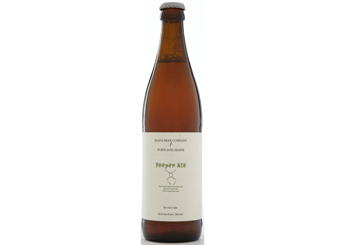 Back Forty Beer Co. brewers Jason Wilson and Zach Folmar work with a local farmer to grow hops for this citrusy pale ale. 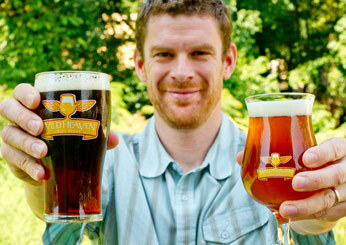 Gadsden town laws won't allow the brewery to serve beer, so Back Forty gives visitors vouchers for a free pint at local bars. 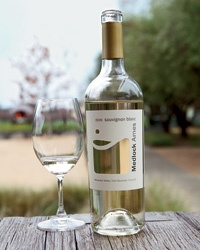 Not only are Medlock Ames's grapes certified organic, but the property is self-sufficient, too, with five ponds for collecting rainwater, solar-power arrays and a huge vegetable garden that produces many staff lunches. The winery building is essentially self-sustaining, with thick stone walls to maintain a cool cellar temperature and lots of windows to let in natural light. 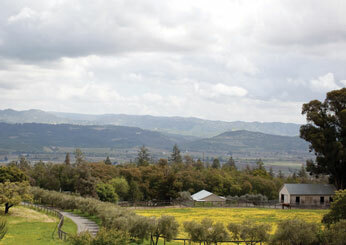 The structure is built on several levels, which permits the winemaker to move juice using gravity rather than pumps, a gentle method that prevents bitter flavors from developing. 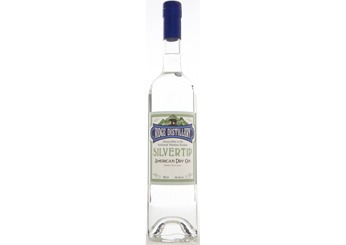 Joe and Julie Legate from Ridge Distillery use wild angelica foraged from the Rockies and cultivated juniper and coriander to make this clean, fragrant small-batch gin. This dense, malty brown ale from Wild Heaven is brewed with a blend of coffee beans from local Atlanta roaster 1000 Faces Coffee. 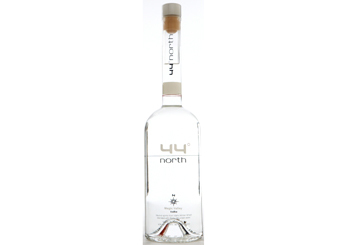 44 North's smooth, mellow vodka from the town of Rigby is distilled from local Brundage winter wheat (chosen for its high-carbohydrate and low-protein content) and Rocky Mountain water. 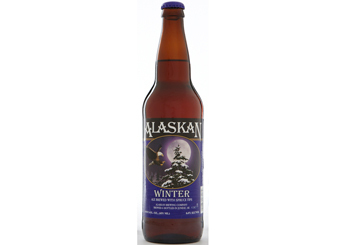 Handpicked Sitka spruce tips give this rich, vintage-dated winter ale from Juneau's Alaskan Brewing Co. a pretty floral note. The 2011 version will be available in October. 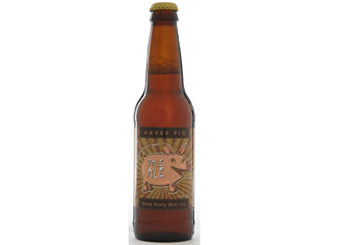 Maine Beer Company, a tiny new Portland brewery, is entirely wind-powered, gives its spent grain to local farmers for feed and donates part of its profits to saving the planet. No surprise this fresh ale tastes so grassy and green. 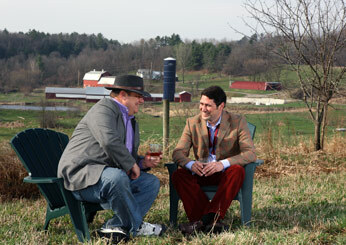 "The wheat came first," says Brian Ellison of his spirits company. 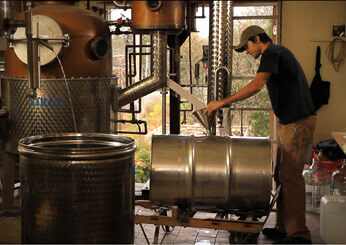 Death's Door makes an excellent, vanilla-flecked white whiskey, as well as a gin and a vodka; all three are distilled from a mash of Washington Island wheat (the gin even uses Wisconsin juniper). In just five years, Death's Door has helped the island's wheat fields grow from five acres to 1,200. Centered around the 19th-century Gothic Revival house that contains the wine-tasting room, Long Meadow Ranch Winery & Farmstead is home to a terrific restaurant called Farmstead, a seasonal farm stand and a nursery. As owner Ted Hall says, you can try the wine in the tasting room and pair it with heirloom tomatoes from the garden. Then you can go to the restaurant and have a salad made with those tomatoes, or walk over to the nursery and buy seeds to grow the tomatoes yourself. 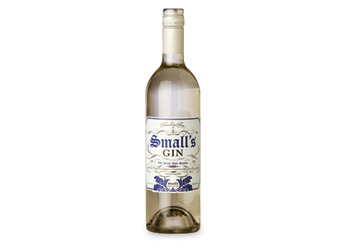 "It's almost too good to mix with anything," says Park Kitchen chef Scott Dolich of this earthy gin. He plays up its herbal side in a cocktail with sweet vermouth, an herbal cordial and bitters. 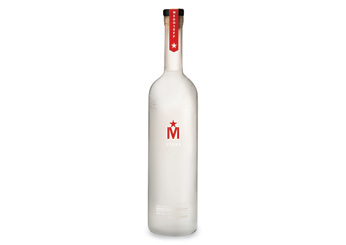 For his Spring Water cocktail, Scott Dolich mixes this affordable vodka (made just five blocks from The Bent Brick) with lower-alcohol spirits like elderflower cordial.